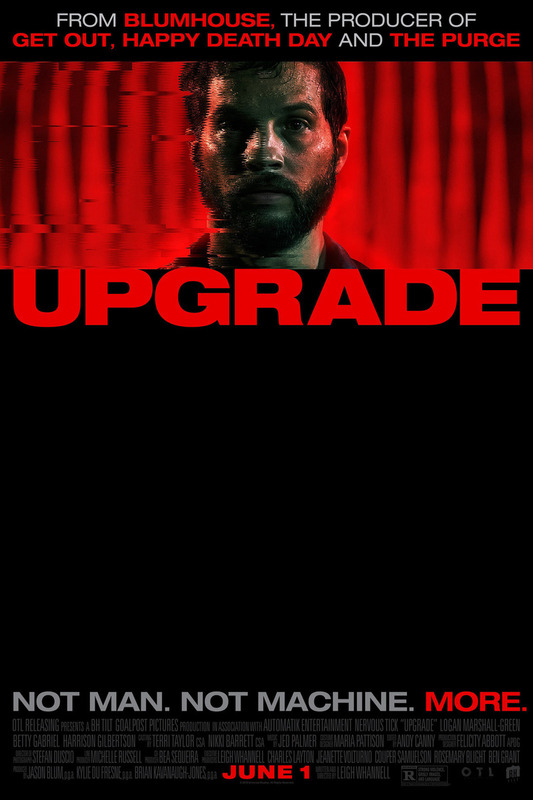 Upgrade DVD and Blu-ray release date was set for August 28, 2018 and available on Digital HD from Amazon Video and iTunes on August 14, 2018. Grey Trace and his wife suffer a brutal mugging which leaves him paralyzed and results in her murder. After the horrific crime, a special new technology is brought to him with a chip implanted in his spine called Stem. With that chip, he now has a new upgraded control over his body and abilities. Set in the near-future, Grey embarks on an exhilarating quest to gain revenge by using his new skills.